Tomorrow I am headed down to Baltimore for the buyers market of american craft. I have two new products that will be debuting there ( and will be up in the shop shortly after). I thought I would give you guys a sneak peak at one of these products, a set of 6 reusable cheese markers. I love cheese almost as much as I love making new things. This is definitely the best of both worlds! 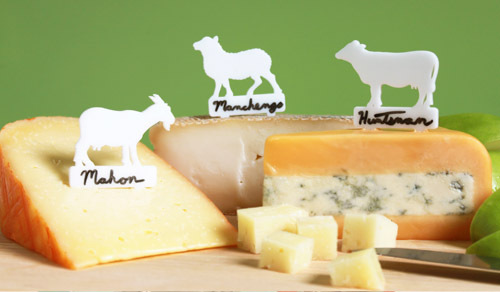 One Response to "BMAC product debut"
I love the idea and designs of these cheese markers. I purchased them for my mother-in-law who loves to entertain and often has cheese plates. I can’t wait to give them to her. My one wish would be if these were just a bit bigger.